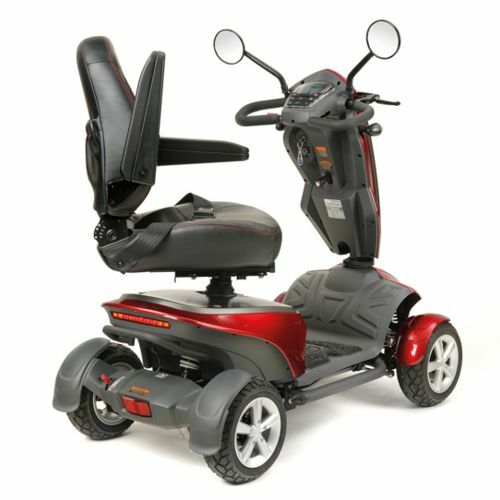 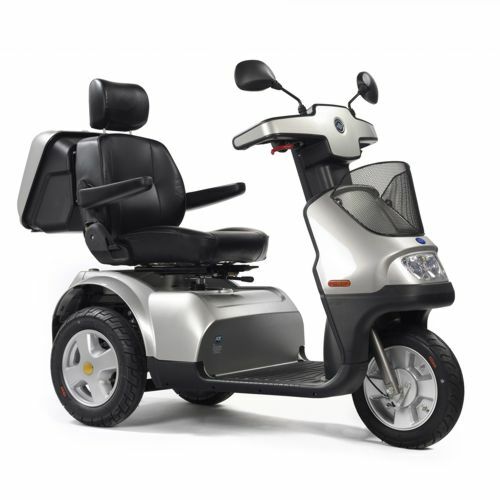 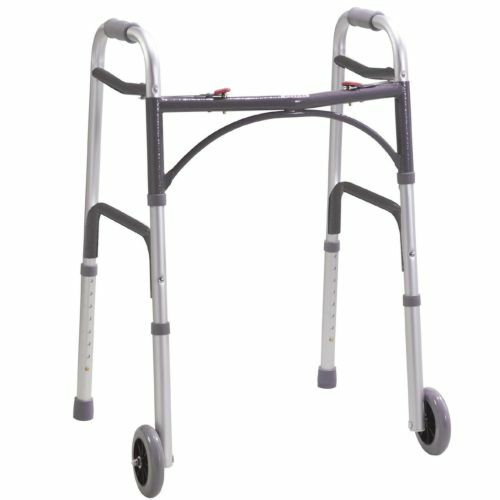 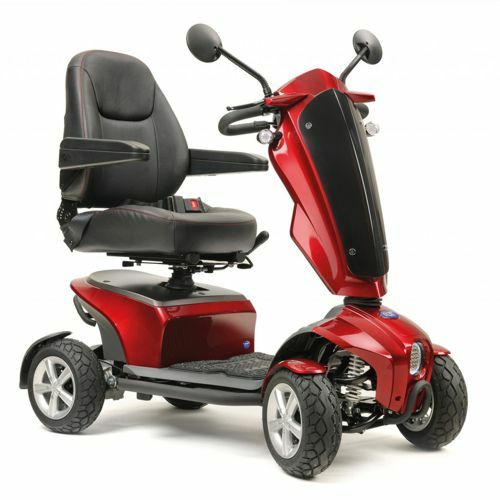 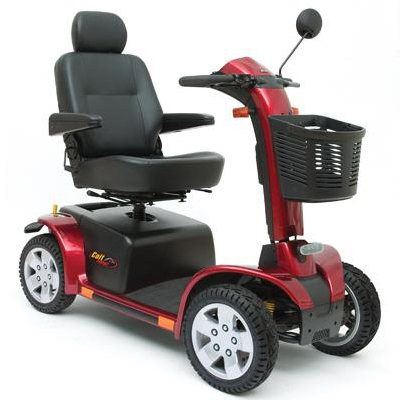 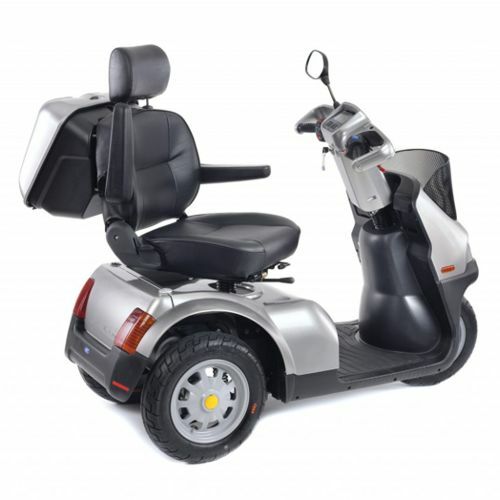 The Drive Medical Cobra mobility scooter boasts sporty alloy wheels and a sleek modern design. 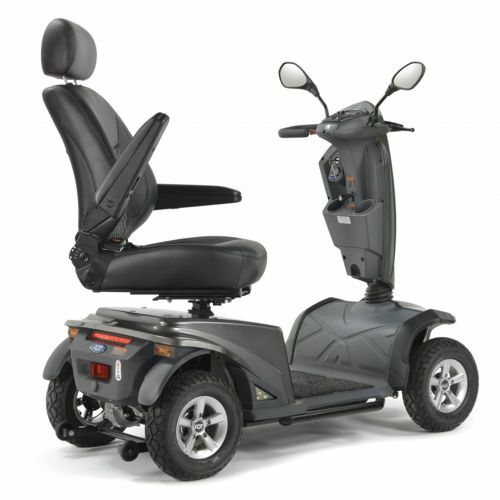 If comfort is an important factor in your new mobility scooter then the Cobra is the scooter for you, as standard you have all round suspension, Captain seat with width adjustable armrests, sliding adjustment, reclining backrest, headrest and additional suspension on the seat post giving you probably the smoothest scooter ride available. 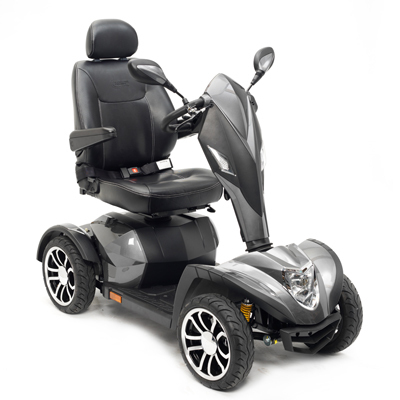 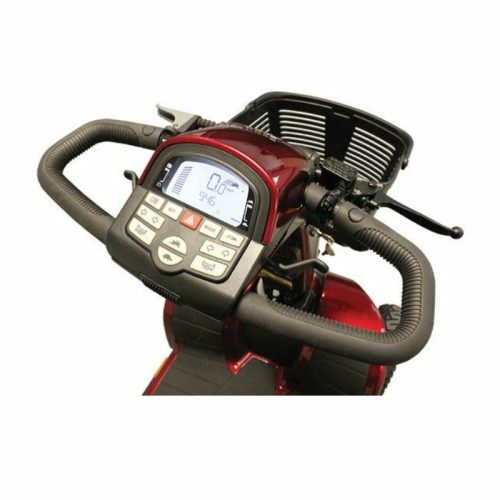 The Cobra not only looks stunning it can carry a rider of up to 29 stone, for an impressive 32 miles on a full charge. 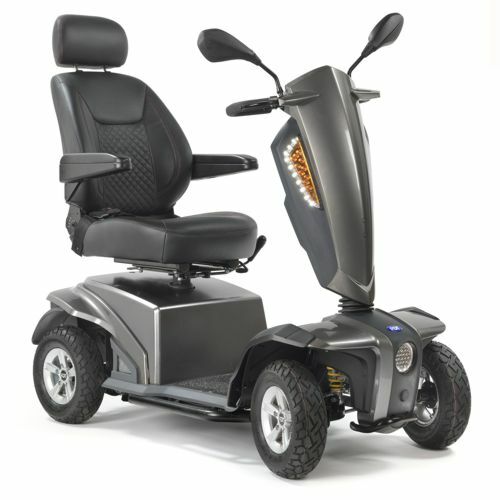 Distance is no object with the Drive Cobra mobility scooter! 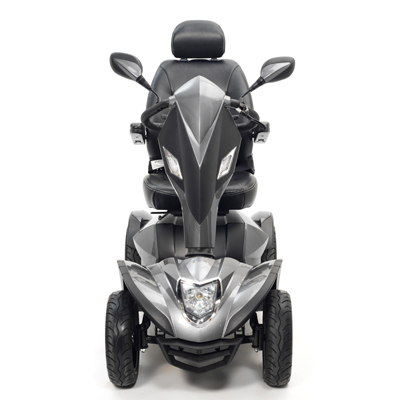 The Delta tiller ensures easy operation of the scooter, two rear view mirrors ensure you can see everything goin gon around you. 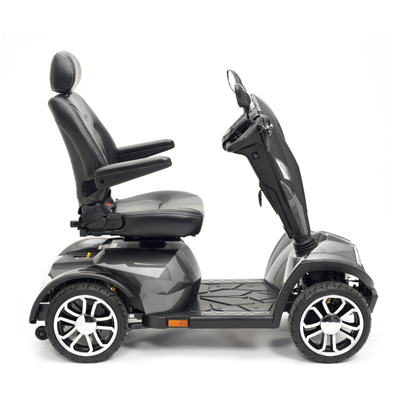 The Cobra 8mph mobility scooter is powered by two 70ah batteries giving a huge range of 32 miles. 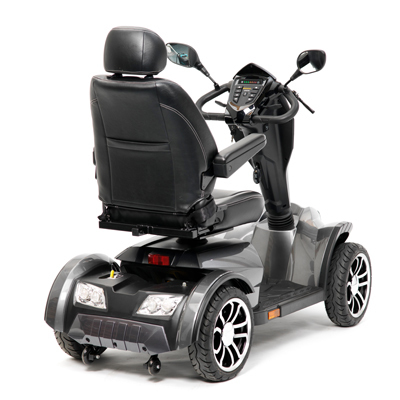 A full lighting system including high level indicators ensures you can see and be seen.